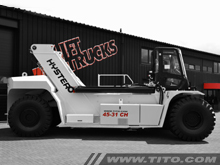 Tito Lifttrucks BV is an independent company based in Nijmegen, The Netherlands. We buy, sell and rent out forklifts and port equipment since 1979. We are specialized in heavy forklifts with a capacity above 10 ton, container handlers, reach stackers and Hyster spare parts. We always have new and used machines in stock. Even though we sell other brands as well, Hyster is our favorite brand. 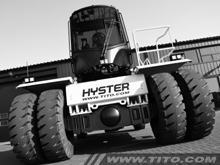 We are located on a 2.5 km distance of the Hyster big truck factory and their European spare parts warehouse. Please feel free to take a look at our stock list and let us know which forklift, container handler or reach stacker you need! Don't hesitate to contact us if the machine which you are looking for is not on the list, we might have it coming in on a short term. Are you located in South America or Africa for example? No problem! 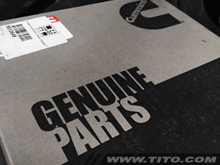 We ship our spare parts worldwide by TNT and DHL. And if you buy a reach stacker or heavy forklift from us, we can arrange the shipping to your nearest port and we can assemble the machine on-site. We can also train your service engineers and carry out maintenance and repairs on-site. For many of our clients in South America and Africa for example, we supply the spare parts and our service engineers return twice a year for regular maintenance or repairs. 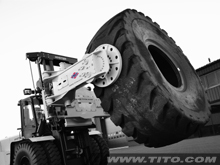 You can reach us by telephone on +31 24 378 11 11, Skype: titolifttrucks or simply send an email. We will come back to you as soon as possible. 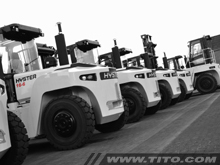 Your enquiry has been sent to Tito Lifttrucks BV.